But Field Media, a new marketing division within Field Agent, is taking this age-old wisdom to an entirely new level—applying it to the promotion of new products. 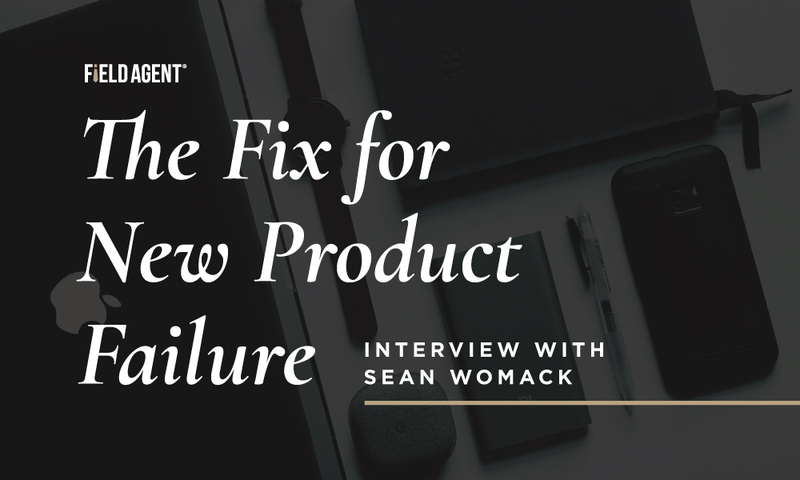 Endcaps & Insights sat down with Field Media founder and publisher, Sean Womack, to learn how his team is fighting back against appallingly high product-failure rates and helping companies build positive awareness around new products. Endcaps & Insights: You recently sold the retail media company you founded to Field Agent. Now you join Field Agent as publisher of its new division, Field Media. Why did it make sense to join forces with Field Agent? Sean Womack: We’d been testing marketing programs for our clients for a couple of years using the Field Agent platform and their Buy & Try program. We eventually landed on an approach that is driving business for clients in meaningful ways. So, it made sense for us to talk with Field Agent as we went out for a fundraising round last summer. As the conversations progressed, joining forces seemed to make the most sense. Now, in hindsight, it seems inevitable. Endcaps & Insights: I’ve read some scary headlines out there about the failure rates of new products. 95% of new products fail, and 70-80% of new grocery products! Are you kidding me?! Why so high, and what can companies do to improve the odds? Sean Womack: For the sake of argument, let’s assume all these products meet an actual consumer need and meet it in a new and unique way. How are people going to learn about all of these new products? How are they going to find all of them? How are they going to try all of them? 20,000-30,000 new products a year is overwhelming. Someone has to filter these products for people and point them to the ones that are the best fit for their lifestyle. That’s where we come in. Endcaps & Insights: Alright, give it to me straight. In layman’s terms, what does Field Media do for companies and their products? Sean Womack: Companies selling at retail have big challenges today. Stores are crowded with new products that shoppers just move right past in order to buy the ones they’ve always bought. So brands need to get people to be aware of and try their products. That’s what we help them do, through specific people in specific stores anywhere in the U.S.
Endcaps & Insights: An announcement I read about the acquisition said, and I quote, Field Media will bring “even broader disruption to tired, ‘top-down’ advertising methods.” Where is traditional advertising lacking, and how does Field Media set itself apart? 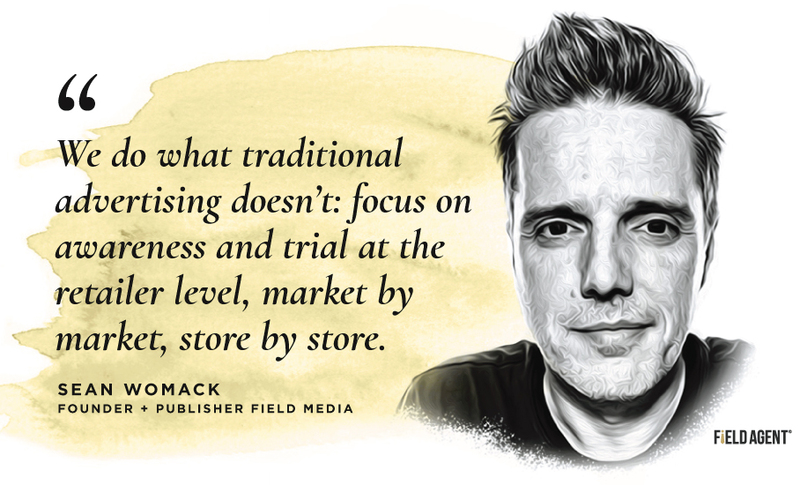 Sean Womack: Well, traditional advertising isn’t lacking, it’s just limited in its ability to drive sales in stores. Traditional advertising is the best way to make a huge audience aware of your products, but it is a terrible way to make shoppers of a specific retailer aware—and it’s certainly no way to guarantee they will try it for the first time. Field Media does what traditional advertising doesn’t: We focus on awareness and trial at the retailer level, market by market, store by store. Endcaps & Insights: I understand one way you’re different from traditional advertising is that your Digital Demo program actually captures the shopper’s voice. 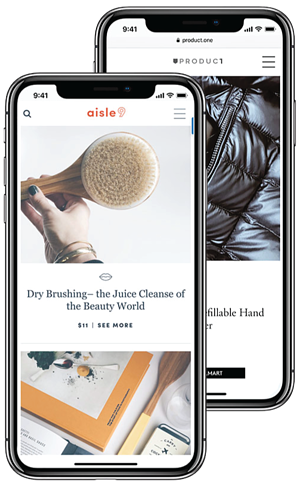 Your Aisle 9 and Product 1 lifestyle publications showcase content written by real shoppers...and these writers actually share this content. Is that right, and why is this important? Sean Womack: That's right. If you read any marketing research, you’d see on every report that the number one form of advertising is word of mouth, when people tell their friends and family about a product or service that they have tried and like. The problem is that you cannot buy this kind of advertising—although some people try by buying reviews, but people can tell when it is authentic. So, what we figured out is how to get thousands of shoppers to try a product, write about it in an interesting way, and then share it with their friends and family on Facebook, and eventually on all social channels. This is a more trusted, more authentic, more powerful way of reaching a new audience. And no other media company is doing this—working with their audience to buy, try, and share about new products and services. Endcaps & Insights: Interesting. Alright, I’m going to ask you to look a few years down the road. What does the future hold for Field Media? Sean Womack: First off is full integration into the Field Agent platform and audience of currently 1.4 million U.S. shoppers. Then growing that audience into a consumer powerhouse that is finding, filtering, and sharing the best new products, places, and services in America and around the world. I’d look for us in new verticals—think tech, auto and financial services—and innovating new ways for our audience to learn about and try out new stuff in all kinds of channels. Endcaps & Insights: So how can someone learn more about Field Media? Sean Womack: Just reach out. I’d love to talk.